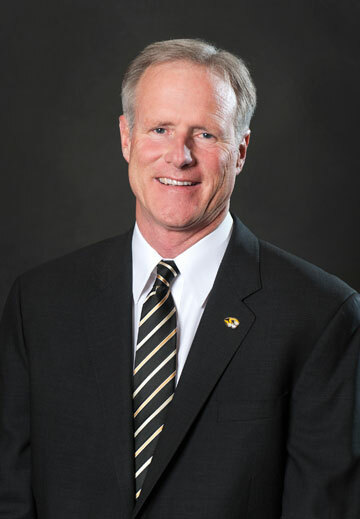 "I am excited that Kim Anderson will lead our men's basketball program moving forward, and I welcome him back to Mizzou," said Chancellor Bowen Loftin. "Kim is a tremendous teacher and coach with a proven track record as a winner, both as a player and as a person. More importantly, his integrity and values-centered approach will help us recruit elite student-athletes who will win championships and make us proud both on and off of the court." It’s easy to see why Anderson was targeted early by Alden. He embodies the key characteristics of his fan base and his former mentor, Norm Stewart. 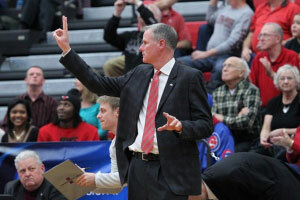 Anderson spent 12 seasons in total at UCM and won nearly 75 percent of his games over a decade-plus worth of work. Anderson went 274-94 (.743) during that span and finished his career ranked among the Top 10 in career winning percentage all-time at the NCAA Division II level. In addition to his consistent winning approach, Anderson helped the Mules collect league and national hardware, winning or sharing six Mid-American Intercollegiate Athletics Association (MIAA) regular season conference titles and advancing to seven NCAA Tournaments. The Mules advanced to three Final Fours under his watch, reaching the national semifinals in 2007 and 2009 before defeating West Liberty, 84-77, in the title game this year in Evansville, Ind. During its 2014 national title charge UCM earned tournament wins over Top 10 programs No. 4 Southern Connecticut State (98-88), No. 1 Metro State (71-69) and No. 7 West Liberty. In addition to being one of the Top 10 winningest coaches in Division II history, Anderson resigns his spot in Warrensburg as the school’s all-time winningest coach. He led the Mules to three 30-win seasons, the only 30-win seasons in school history. He finished above .500 his 11 finals seasons and won 20 games seven times in 12 years, finishing among the MIAA’s top three in the league standings nine times over his final 10 seasons. Anderson spent 11 seasons on staff at Mizzou over two stints (1982-85 and 1991-99) and served six years as an assistant coach at Baylor (1985-91) under Gene Iba. Anderson was first a graduate assistant for Stewart from 1982-85 and helped the program to the 1983 Big Eight title, the program’s fourth straight, before taking his first full-time assistant coaching role with the Bears two years later. In Waco, Texas, Anderson and Iba teamed to help Baylor to its first NCAA Tournament in 38 years in 1988 and returned to Missouri in a full-time capacity three seasons later, serving as an assistant coach for five more NCAA Tournament teams, including the 1993-94 squad that finished 14-0 in conference action and won the Big Eight Championship. That team earned a No. 1 seed in the 1994 NCAA Tournament and advanced to the NCAA Tournament Elite Eight. As a player, Anderson embodies what it means to be a student-athlete at Mizzou. He graduated from Missouri with degrees in education in 1979 and in 1981 (Masters). He was an Academic All-Big Eight selection in 1975 and 1977. He helped Mizzou win its first Big Eight crown under the Hall of Famer Stewart in 1976 and was the Big Eight Player of the Year in 1977, averaging 18.3 points and 7.9 rebounds per game as a senior. He finished his Tiger career with 1,289 points, currently No. 24 all-time in program history, and his final two seasons saw Mizzou win 20 games in back-to-back years for just the second time ever. Anderson went on to be drafted in the second round of the 1977 NBA Draft by the Portland Trailblazers, playing 21 games for the late Dr. Jack Ramsey during the 1978-79 season. He later completed his professional playing career in Italy and France until returning to assist the Tigers in 1982. Anderson is a member of numerous Hall of Fames around the state of Missouri. He was inducted into the University of Missouri Athletics Hall of Fame in 1999 and the Missouri Sports Hall of Fame in Springfield in 2005 as a student-athlete. He was later inducted into the Missouri Sports Hall of Fame for his coaching accomplishments in 2012. In 2006 he was named to the Mizzou Basketball All-Century Team in a fan vote. Prior to taking over the reins at Central Missouri, Anderson served two years as assistant commissioner of the Big 12 Conference. He was the league liaison for men’s basketball and oversaw the officiating programs and the postseason tournament. Anderson and his wife of 37 years, Melissa, have two sons, Ryan and Brett. Brett will graduate from Missouri next month.